Lake Minnetonka Flood Insurance: Could it Happen to You? If you’re like most people, the only time you think about Lake Minnetonka flood insurance coverage is when a natural disaster occurs someplace else – to somebody else. While it’s only natural to have an “out of sight, out of mind” philosophy regarding your insurance coverage, recent events in Louisiana are enough to make us all take notice. 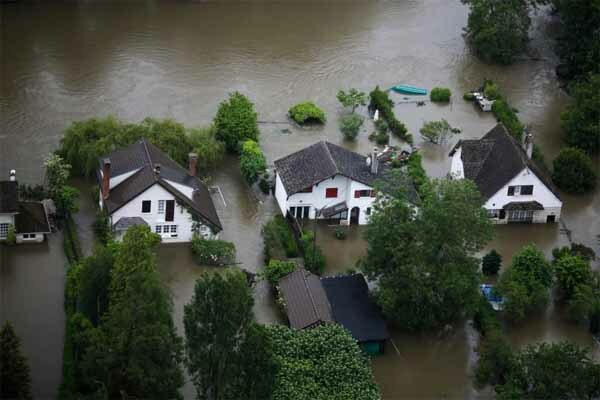 Here are some reasons to consider flood insurance to protect your home. Should You Have Lake Minnetonka Flood Insurance? The recent developments surrounding the Louisiana flood and others we’ve seen recently, like the devastating October 2015 floods in South Carolina, raise the question of whether you should consider Lake Minnetonka flood insurance. For many, it’s an ongoing question. Of course, floods are common in low lying areas near bodies of water, and by not having flood insurance you’re taking a huge risk if a natural disaster occurs. For most people, the question remains, “What if I don’t live near a lake, river or other body of water… do I still need flood insurance?” The answer may surprise you. To further answer the question of whether you should have a Lake Minnetonka flood insurance policy, consider this. Your normal homeowner’s insurance policy doesn’t cover your home for damages caused by rising water. You have to purchase a separate flood insurance policy for that type of coverage. In addition, your Lake Minnetonka flood insurance coverage must be in effect for a minimum of 30 days before you’re protected against a flood. In addition to separate flood insurance coverage, insurance experts recommend adopting a certain mindset when it comes to protecting your home. Many suggest asking yourself this simple question, “If the worst happened to my family’s home, are we protected?” If you said, “For the most part,” that may or may not be enough to answer the question and satisfy your peace of mind. The good news is that Lake Minnetonka flood insurance isn’t very expensive. A flood insurance policy is an easy, uncomplicated way to protect your home if a flood disaster occurs. Without flood insurance, even minor flooding of a few inches of water could cost thousands of dollars in damages and repairs. From a pure financial standpoint, flood insurance is much like other types of insurance – you pay for it, and don’t appreciate it until you need it – then, it usually takes but one claim to make you realize the benefit was worth the cost. You can find more articles pertaining to Lake Minnetonka flood insurance in the Lake Minnetonka Insurance section of our site below Lake Minnetonka Real Estate Categories in the column to your right.